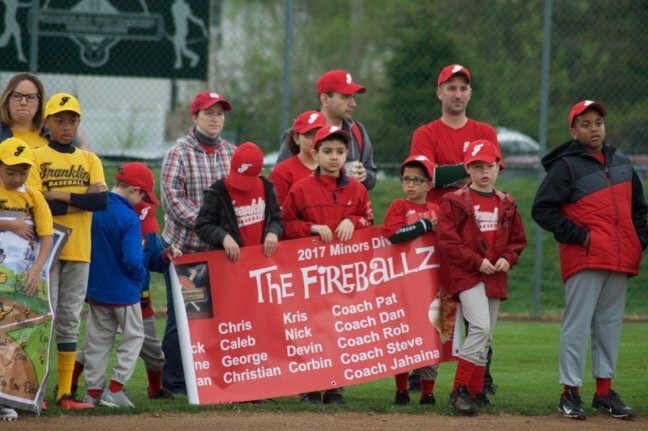 Added by Bill Bowman on April 23, 2017. 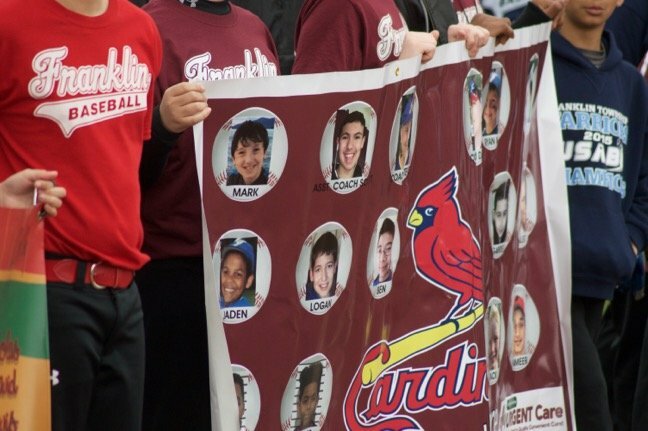 The Franklin Township Baseball League honored the memory of 13-year-old Andrew Russoniello, who was killed in an auto accident in August 2016. 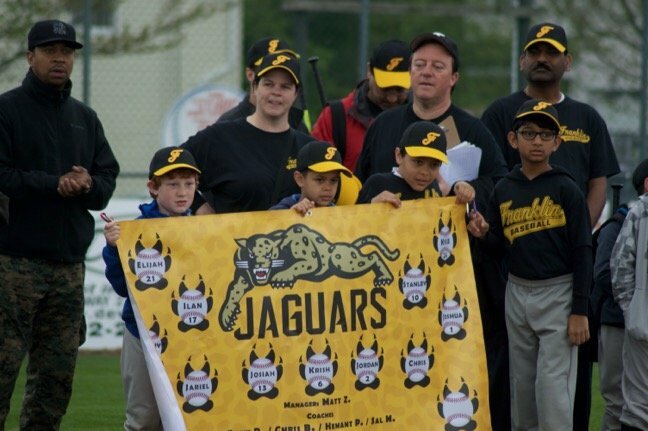 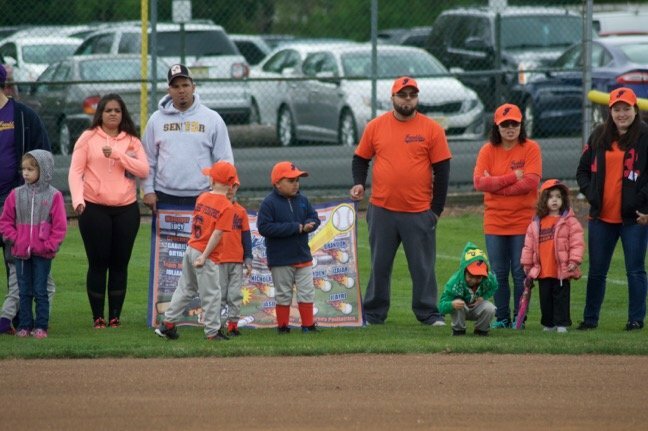 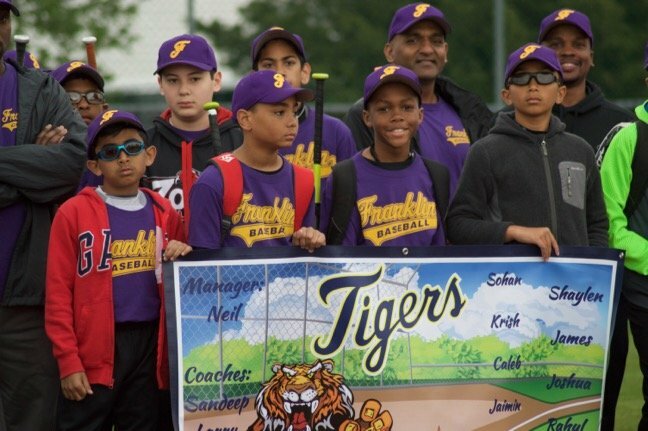 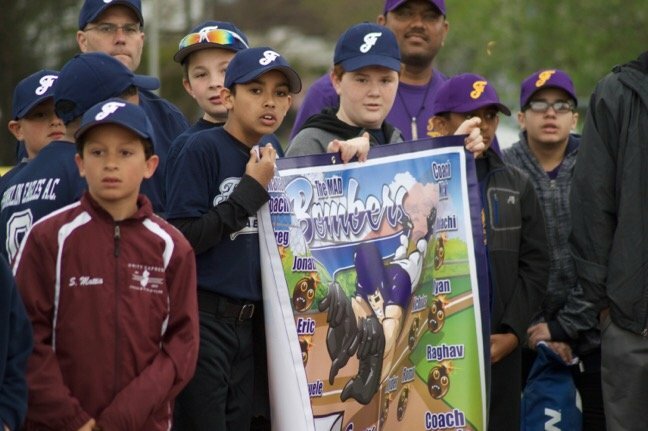 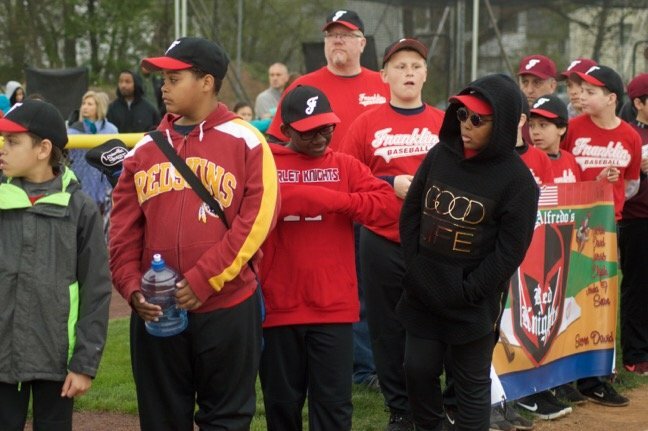 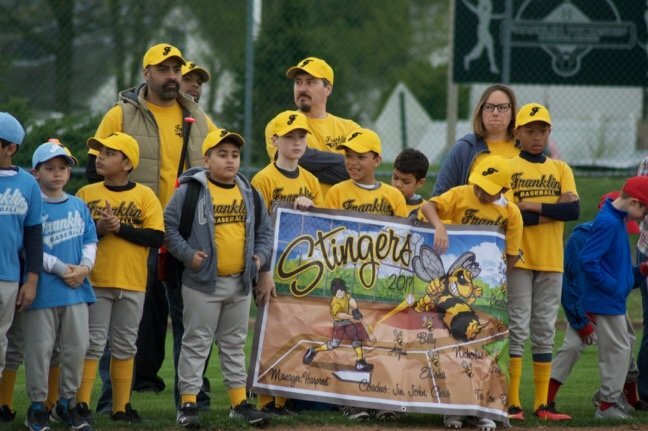 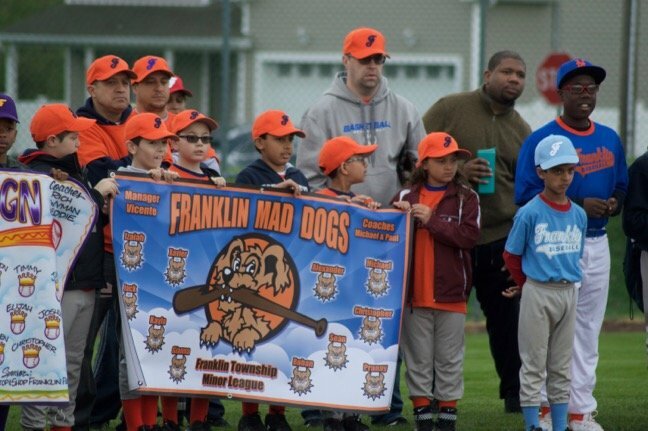 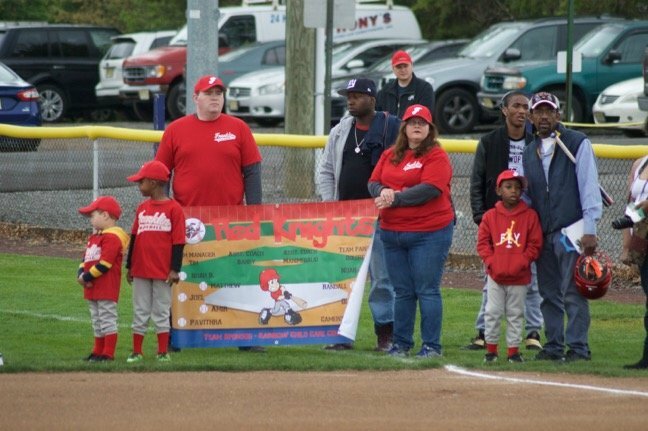 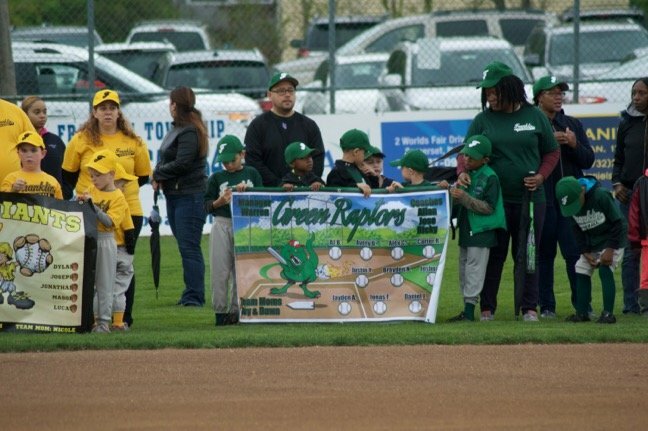 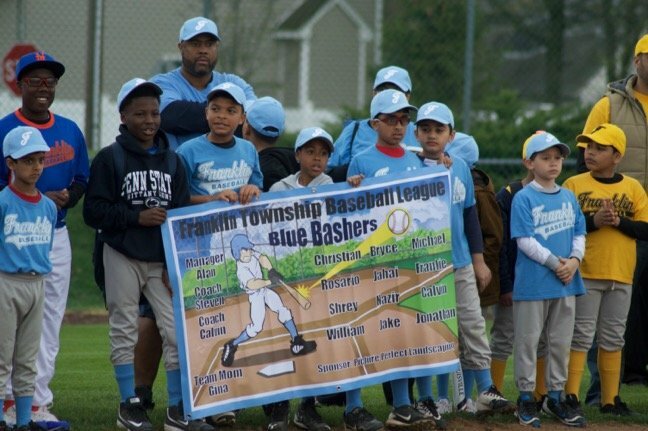 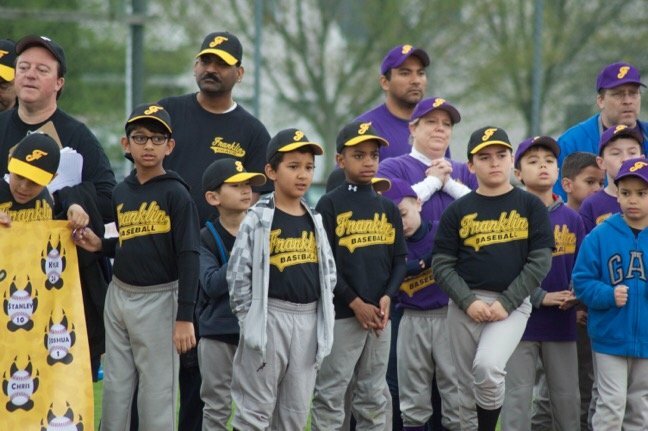 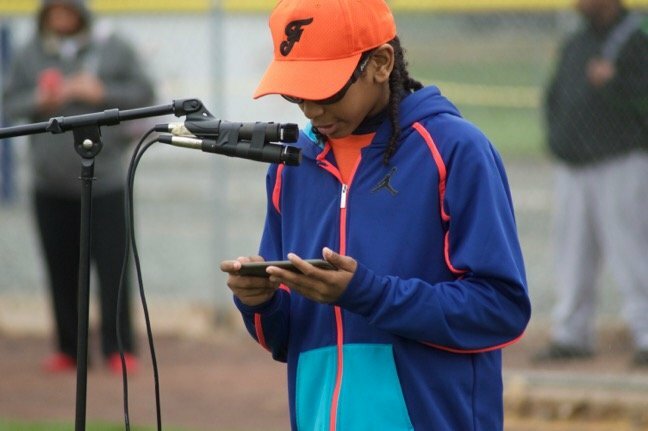 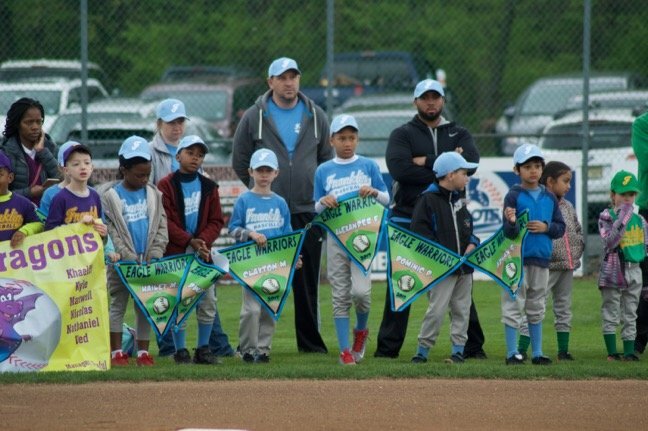 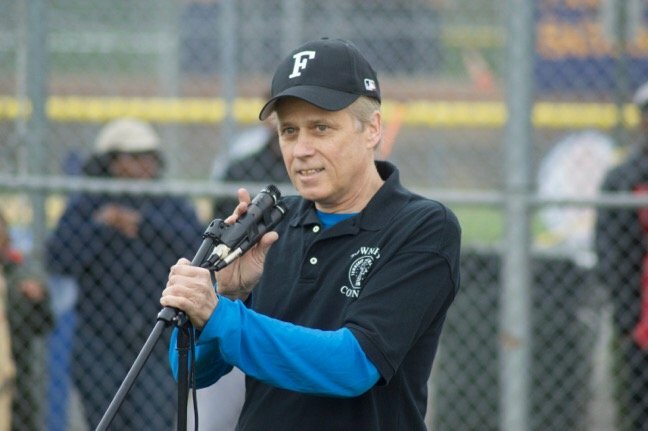 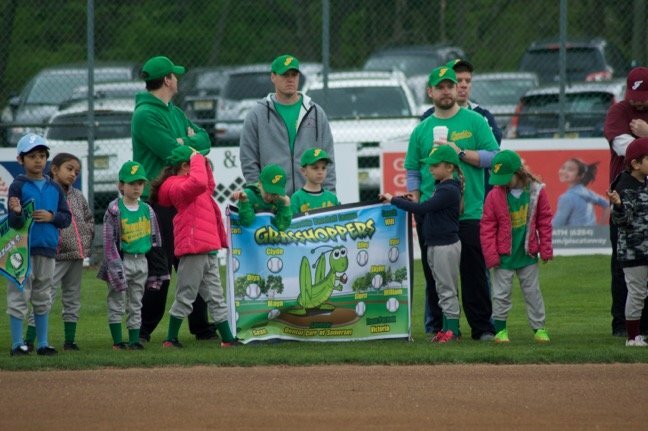 It was later than usual, but the Franklin Township Baseball League was able to hold its season-opening ceremony on April 22. 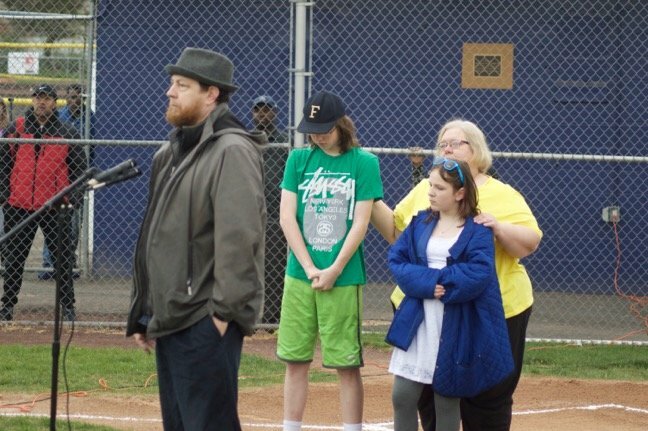 It was an abbreviated ceremony, held under threatening skies. 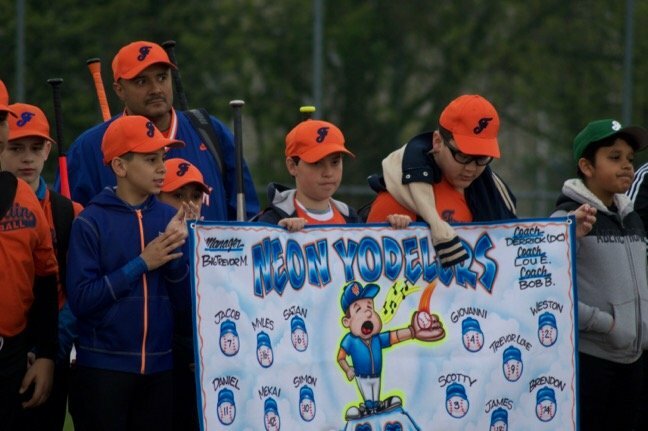 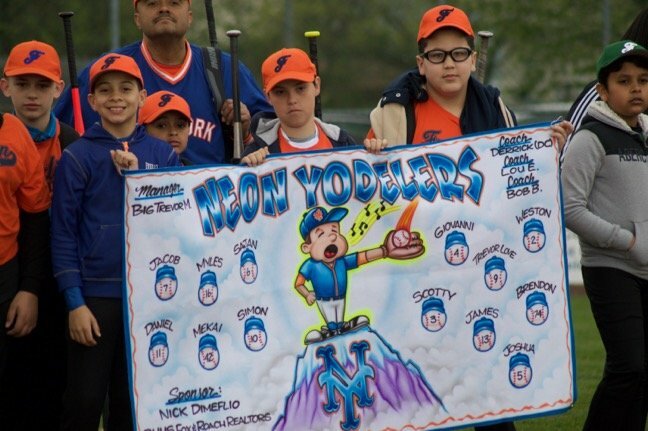 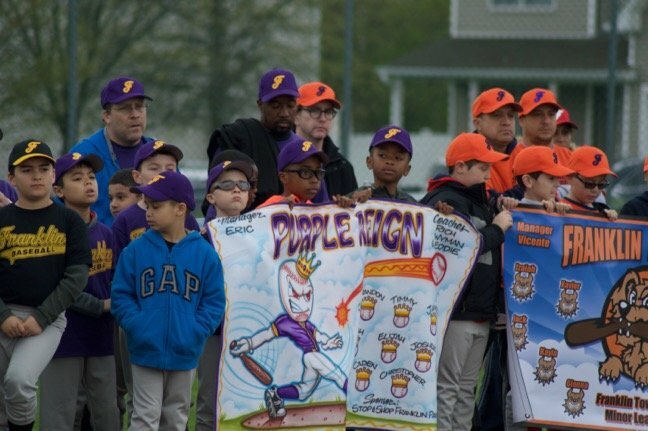 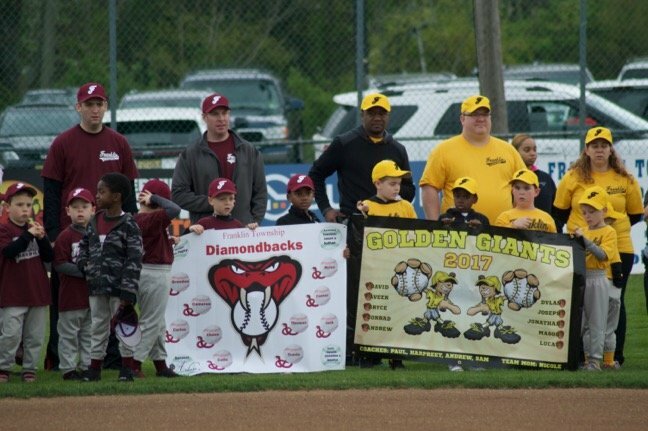 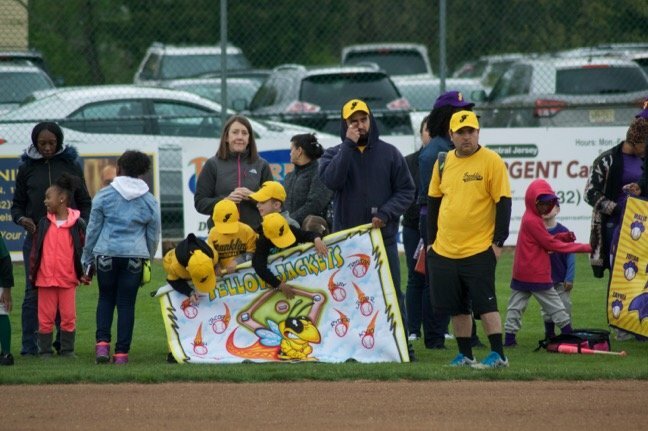 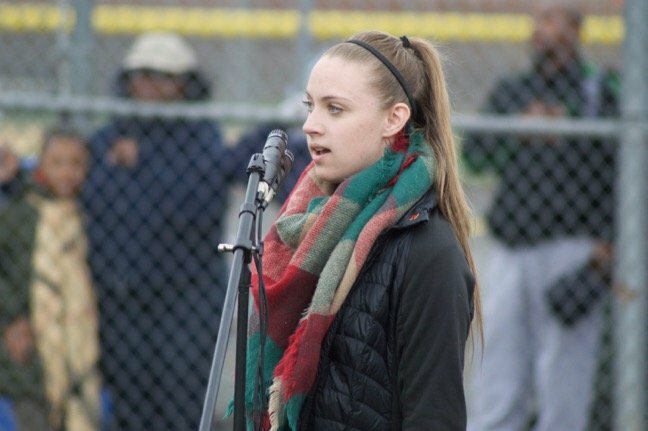 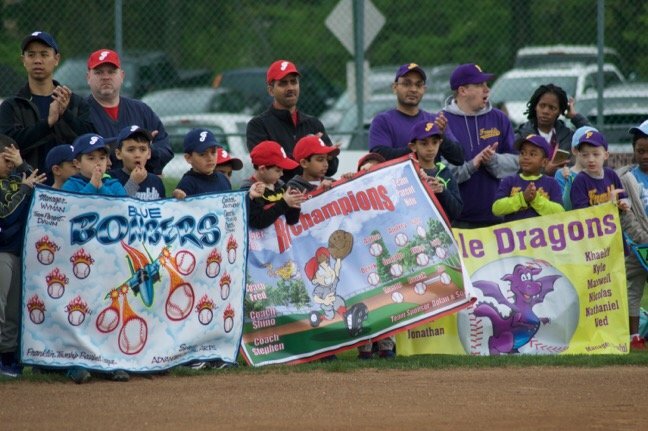 While there wasn’t the usual parade up Franklin Boulevard from the Pine Grove Manor School to the baseball complex on DeKalb Street, there was a mini parade of the teams, holding their banners, onto the main field. 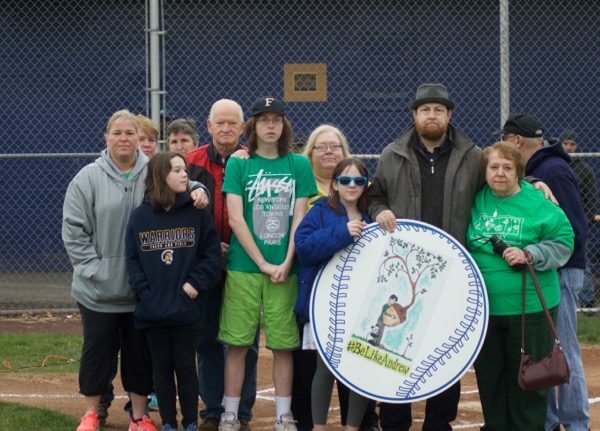 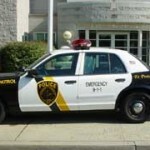 There was also the traditional singing of the National Anthem and a special acknowledgement for the family of Andrew Russoniello, the 13-year-old township resident and Little League player who was killed when the bicycle he was riding was struck by a car on Amwell Road in August, 2016. 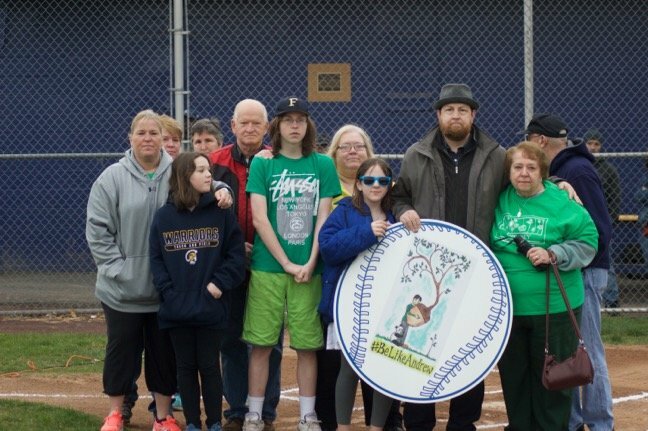 A plaque that the Russoniello family helped design was debuted, followed by thanks from Chris Russoniello, Andrew’s father. 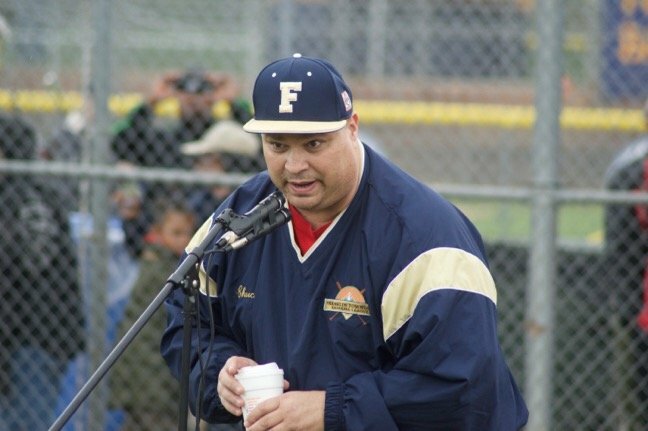 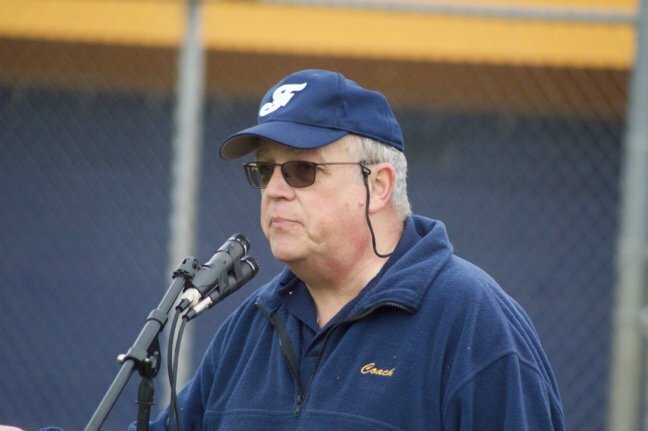 “I know his spirit will be here, watching you guys and cheering for all of you,” he said. 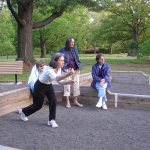 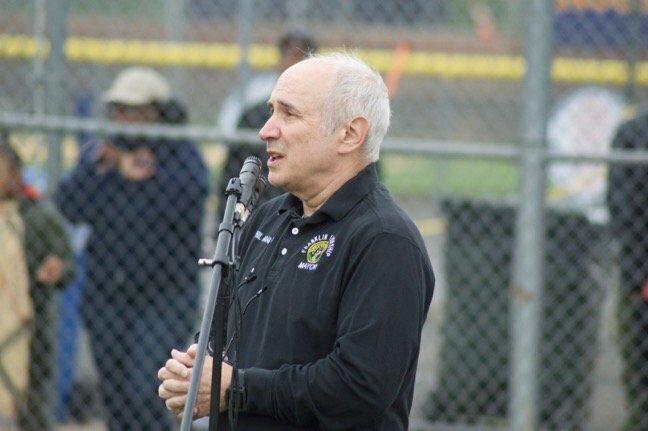 Also speaking were Mayor Phil Kramer, and Township Councilman James Vassanella (D-Ward 5). 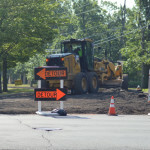 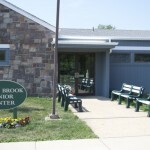 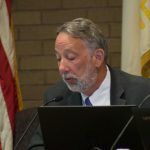 Vassanella noted that the complex will be getting new restrooms in the summer, and that the council has taken steps to expand the complex’s parking lot. 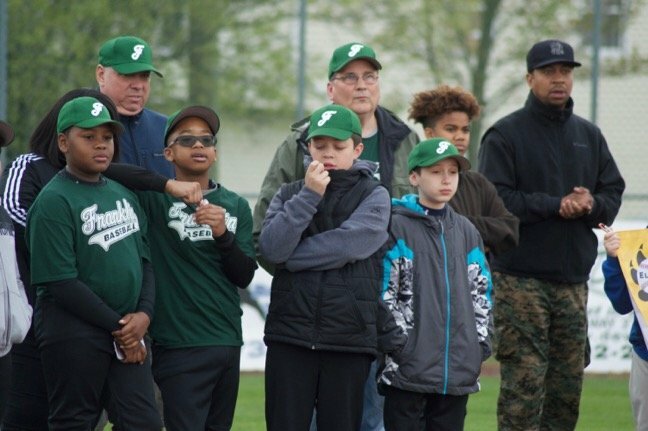 The league’s roughly 350 children play on 27 teams, said FTBL president Chuck Turano. 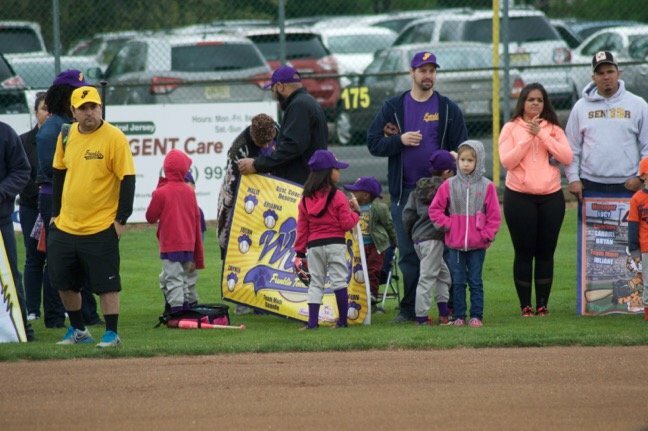 “We understand it’s a really busy time, but we really do appreciate your support, you guys entrusting your children with us,” he said.